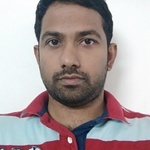 I have more than 11 years of experience in software design, development & maintenance. I have mix domain knowledge like Retails, healthcare, telecom & system programming. For...Read moreI have more than 11 years of experience in software design, development & maintenance. I have mix domain knowledge like Retails, healthcare, telecom & system programming. For more details about my experience, Please refer attached portfolio. It will give you a fair idea about my experience and skill expertise.